Ferrules are ideal for applications such as barber haulers, spinnaker twings or other uses that have small turning angles and little line movement. They also work great for backstay adjusters when used in a high purchase cascade configuration. 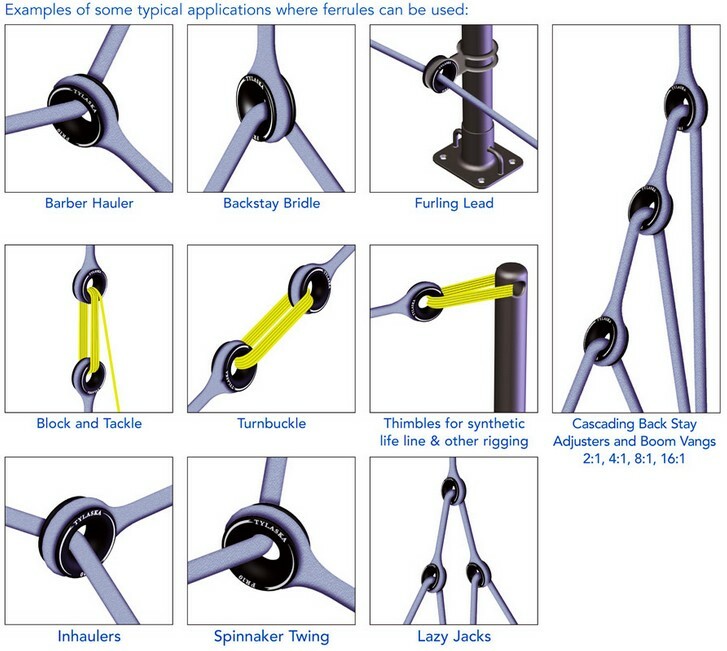 Ferrules start having frictional heating and wear problems when there is significant line movement so conventional pulleys are still better for applications such as mainsheet and halyard blocks. 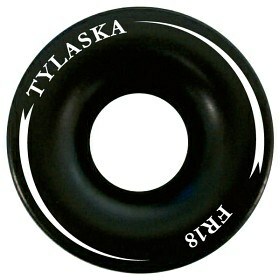 Numerous sizes are available depending on the application and line size. 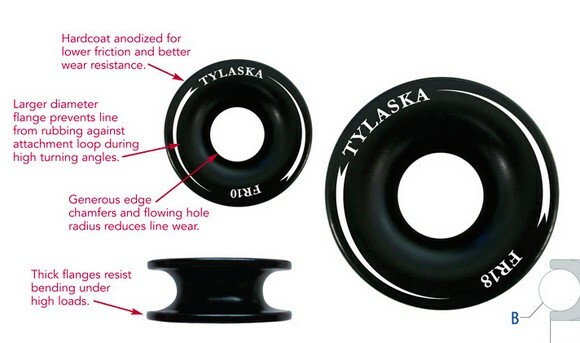 Tylaska ferrules are also optionally available with prespliced dyneema attachment loops. Please specify desired length.